Network has changed our lifestyle and it has become an important part of our daily life. Therefore, home network deployment is a very common project. When it comes to the components required for the network deployment, many people would say Ethernet cable and router, without hesitation. However, when you start the project, you will find it is not that simple. 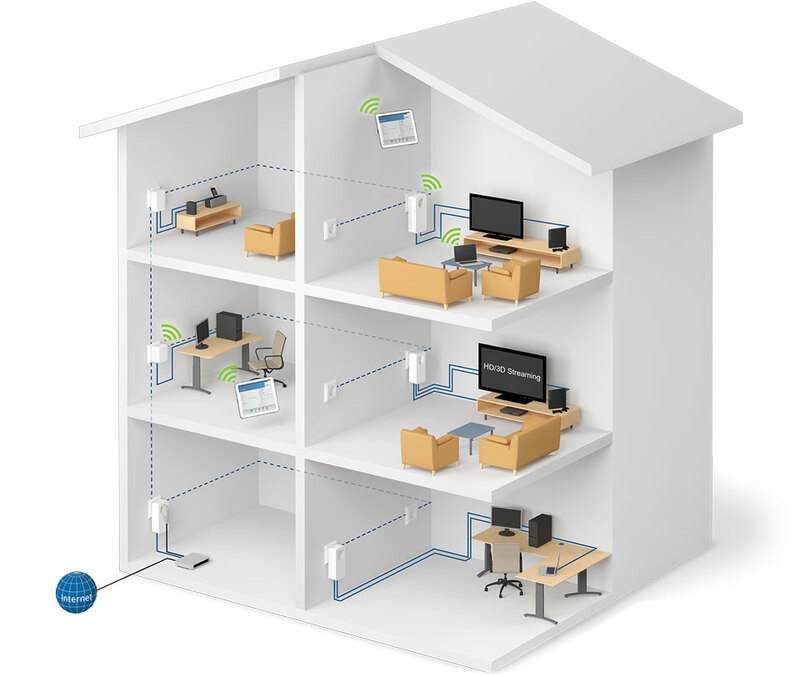 To deploy network in a new house, future-proof cabling and cost-effective components are two essential elements. And this article will share some tips with you based on these two elements. We know that conduit can protect cable from damage, in addition, it will allow you to pull new wiring in the future. No matter what wires you require in the future, you can easily replace them. Remember to run more conduit than you think you need. Run conduit to every room. Typically, run it to whichever wall you’re thinking of placing your equipment. Also, run it to locations in hallways and on floors where you may place future routers/access points for wireless networking. You will find that Power over Ethernet is useful for this. For Ethernet cable, Cat6 cable is fine for all current standards unless you have a giant mansion. Cat6 cable is a standardized twisted pair cable for Ethernet and it is backward compatible with the Cat3, Cat5 and Cat5e cable standards. In addition, Cat6 cable provides performance of up to 250 MHz and is suitable for 10BASE-T, 100BASE-TX (Fast Ethernet), 1000BASE-T/1000BASE-TX (Gigabit Ethernet), and 10GBASE-T (10-Gigabit Ethernet). For transmission distance, Cat6 cable can reach 100 meters for slower network speeds (up to 1,000 Mbps) and higher network speeds over short transmission distance—it can achieve only 55 meters at the speed of 10 Gbps and 33 meters in high crosstalk conditions. You only need Cat6a cable if you plan to run cable at 10 Gbps and longer than 55 meters (180 ft). Also, remember to have “extra” cables which will save you enormous hassle and expense. We know that wireless network utilizes either 2.4 GHz frequency band or 5 GHz frequency band. The 2.4 GHz wireless network covers a larger range than 5 GHz wireless network, but 5 GHz band can provides faster speed. In wireless home network, many older Wi-Fi devices do not support 5 GHz band. It is not difficult to find that 2.4 GHz and 5 GHz have their own advantages. As a result, dual band router will be better for your home network deployment. 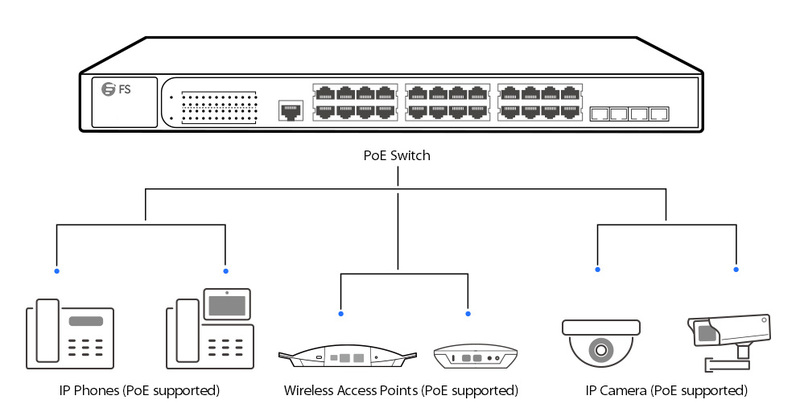 If you want to set up multiple access points and IP cameras, PoE technology is a good option which can realize the power and data transmission over the same Ethernet cable at the same time. PoE devices utilize the original PoE standard, IEEE 802.3af, which provides up to 15.4W of DC power to each device. In addition to wireless access point and IP camera, there are some other PoE devices on the market, such as IP phone and PoE switch. In fact, once you have decided to deploy network in your new house, there will be a lot of things that you have to think about, such as which type conduit to run, how long cable to buy, where to place the router, how many access points to set up, which kind PoE switch to buy, and so on. But there is another important thing that you must pay attention to, that’s where to buy what you need. FS.COM can provide high quality products at low price, such as 305 meters (1000 ft) is US$ 120.00, 8 port PoE switch is US$ 159.00.